Watercolor Painting Workshop on Sunday April 8, 2018 from 1-4pm at Thick As Thieves in Palm Springs. 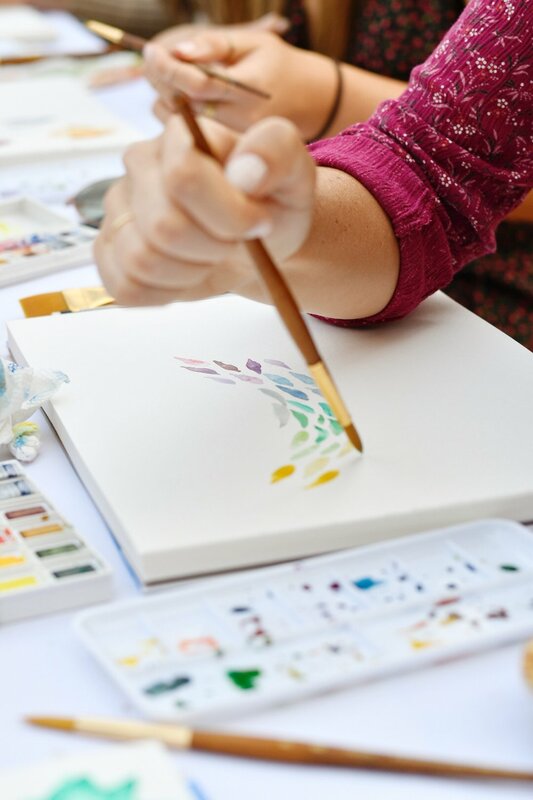 Join Joshua Tree artist Lindsay Hollinger for an afternoon of watercolor painting. 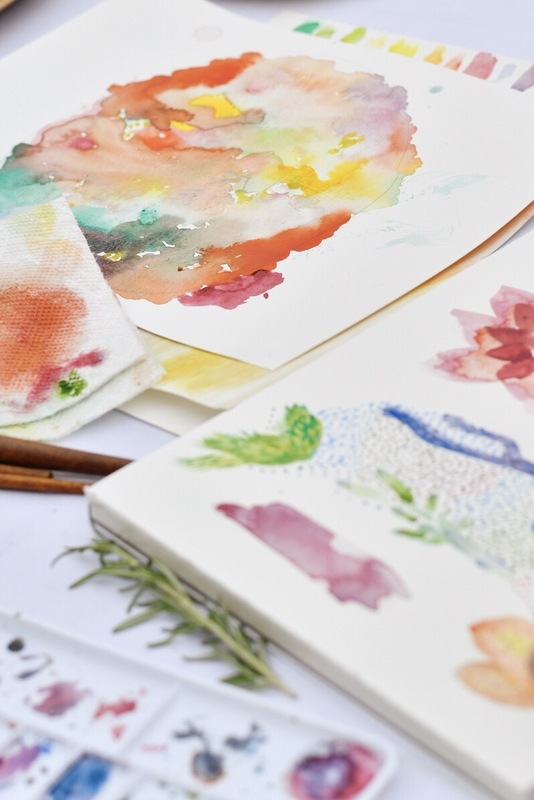 Pulling inspiration from the desert, you will learn techniques for watercolor painting and integrating creativity into your life, with a focus on heart-led explorations in pigment. It will be a relaxing and fun environment to learn, and make new friends along the way. This workshop is for everyone, and first-timers are welcome: no experience is necessary. Supplies, snacks, and happy hour included! 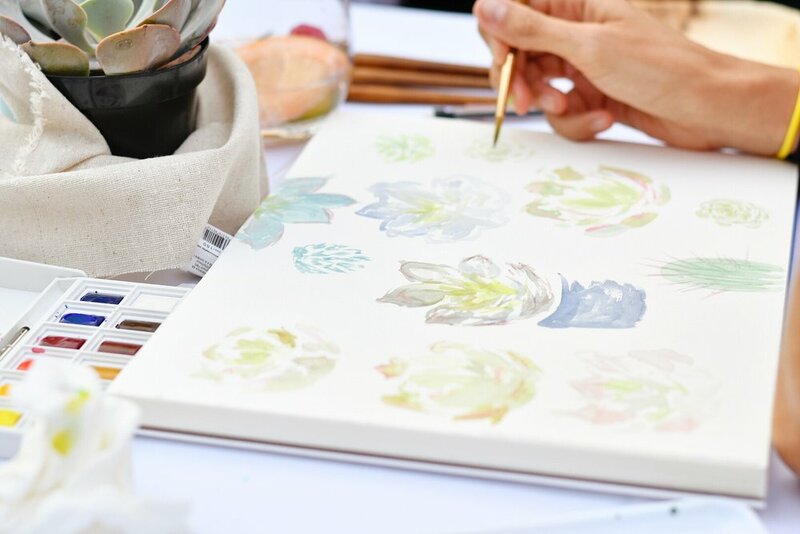 Join Joshua Tree artist Lindsay Hollinger for an afternoon of watercolor painting at the beautiful boutique and event space Thick As Thieves in downtown Palm Springs. Pulling inspiration from the desert, you will learn techniques for watercolor painting and integrating creativity into your life, with a focus on heart-led explorations in pigment. We'll be painting in the event space nestled inside Thick As Thieves. It will be a relaxing and fun environment to learn, and make new friends along the way. This workshop is for everyone, and first-timers are welcome: no experience is necessary. Supplies and refreshments included! 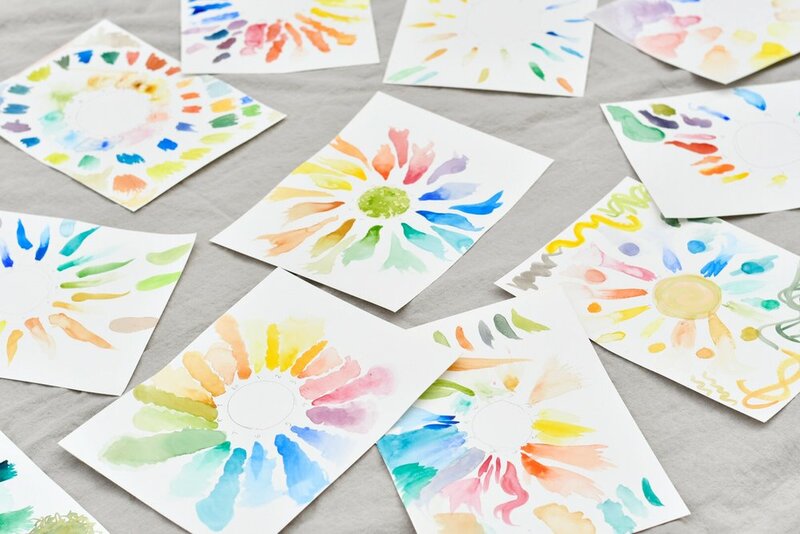 In the first half of the workshop, you will learn watercolor basics such as paint mixing and brush techniques and we'll talk about ways to incorporate creativity into your daily routine. In the second half, you will create a painting inspired by the desert using inspiration provided by Lindsay and using your newly acquired skills. It will be a fun, zero-pressure environment with lots of personalized instruction. 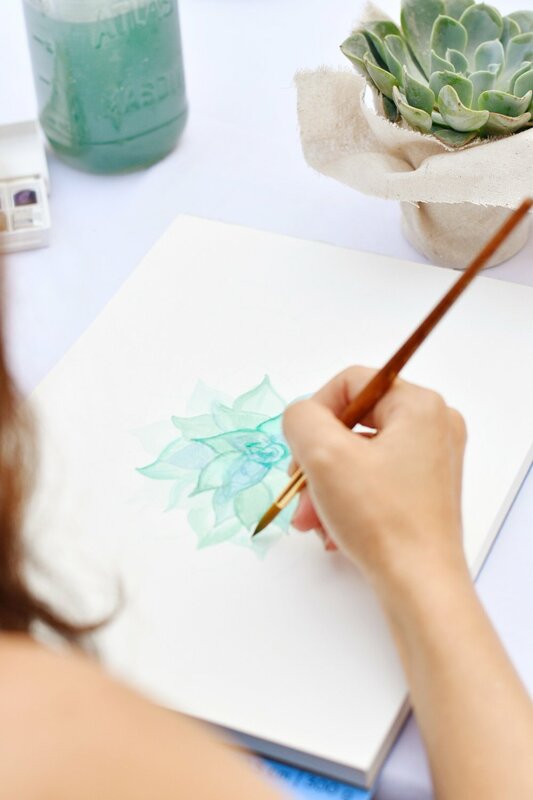 If you have always wanted to try painting but been scared, too busy, embarrassed, or simply didn't know where to start-- this is the class for you! 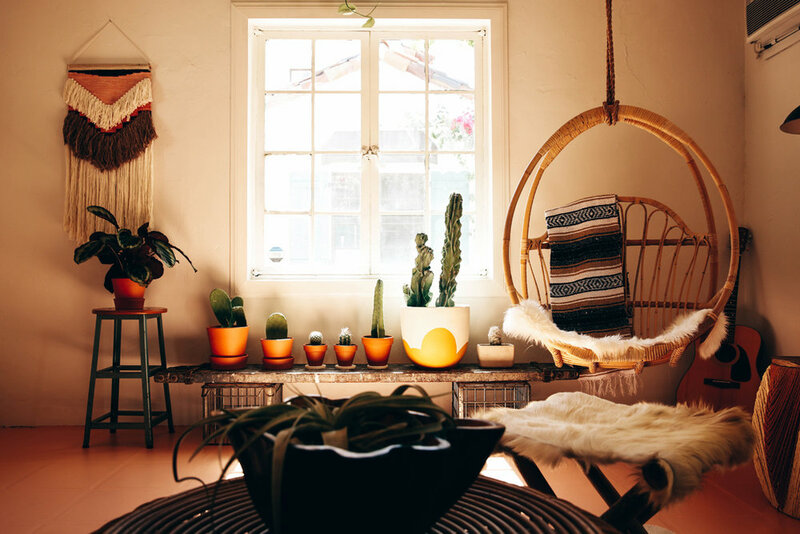 The workshop will be held at Thick As Thieves in Palm Springs, California. Cancellation policy: tuition is non-refundable. If you can find a replacement student to take your spot, we can work it out on a case by case basis. If you have to cancel and your spot isn't filled, I will mail you the painting materials. The gorgeous event space inside Thick As Thieves! picture yourself painting in this beautiful space! Lindsay Hollinger is an artist based in Joshua Tree & Los Angeles, California. Her paintings seek to capture emotion, landscape and fleeting moments in colorful abstract works on paper. In addition to being a painter, Lindsay’s professional work has focused on creative direction, design, illustration, and creative coaching/management for the gift and home décor industries. She holds a Bachelor of Fine Arts in Illustration from Syracuse University and is a Starting Bloc Fellow.